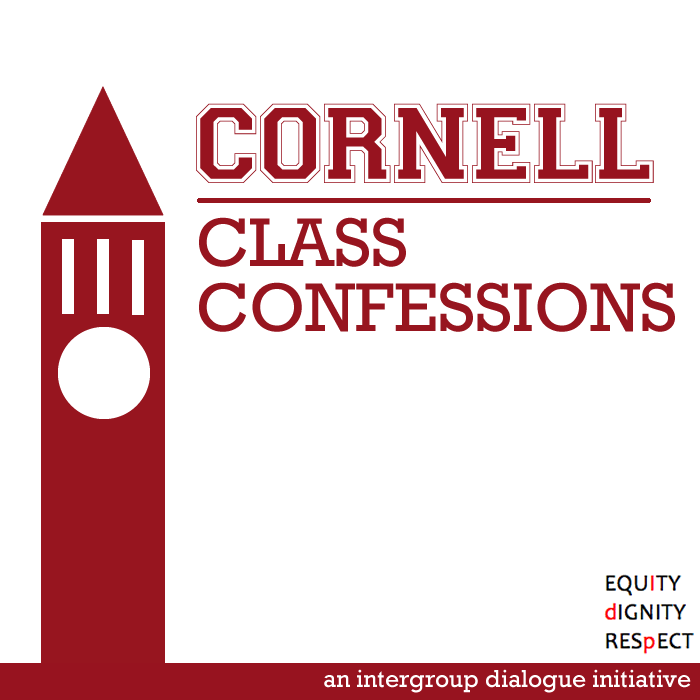 Cornell University students recently launched their own Class Confessions page. Last year, I wrote a post about the “class confessions‘ movement on campuses across the country. The Facebook pages for anonymous confessions around socioeconomic class have since reached a new height of popularity. Since my post, at least eight new pages have been created at different schools. This, of course, is not coincidental. It’s a result of a growing network of first-generation and/or low-income groups that increasingly share ideas about the work they are doing. In February 2015, the Ivy League and other elite schools gathered for a first-generation conference at Brown University. I was on a panel discussion with three other students to discuss our work on our campuses. Class Confessions came up in the conversations. I described how UChicago had been inspired by Stanford’s project to start the UChicago Class Confessions Facebook page in early 2013. Shortly after, we saw Northwestern start their Tumblr and Claremont Colleges start a Facebook page. What was once a smaller movement that seemed to have spread based on a smaller network of students on social media has become even more powerful because of a gathering of students on a national scale. This forum allowed the class confessions idea to take off. I remember the Columbia University students being very interested in learning about how we had launched ours at UChicago. Shortly after the conference, Columbia launched theirs. Several others have followed suit. Here’s a list of all the class confessions pages I’ve found. Let’s keep having these important conversations. The Princeton University Hidden Minority Council launched their second round of their photo campaign. Their campaign is meant to spearhead discussion about low-income and first-generation college students. What does good support for first-gen students look like? I recently read the article “First-Generation College-Goers: Unprepared and Behind” in the Atlantic. Poster for first-generation conference at Brown University. There are a few conferences to keep an eye out for in the next year. 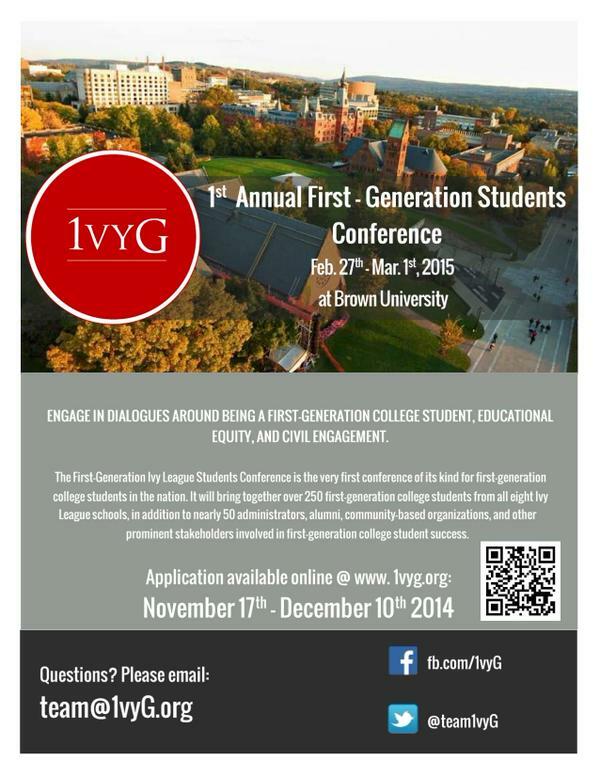 Ivy League first-generation conference: 1vyG is an organization at Brown University that is hosting a first-generation student conference primarily for students in the Ivy League from February 27-March 1. Eric Waldo, Executive Director of the First Lady’s Reach Higher Initiative will be one of the speakers during the conference. For more information, check out their website at 1vyg.org. Class Action first-generation summit: Class Action is an organization that aims to bridge the class divide and one of their focuses is on the first-generation identity. Their one-day summit on March 7 is at Wellesley College and will feature presenters from across the country. The summit is open to all and is still accepting proposals. For more information, go to classism.org. I will be attending both conferences and will provide updates on both.